Work on an extensive programme of improvements at Worcestershire’s leading commercial estate has completed, with businesses based at the site benefitting from more than £3 million of upgraded facilities and refurbishments. Enhancements at Hartlebury Trading Estate include a new high-tech security system, new roofs across a number of units, the refurbishment of vacant units and additional landscaping throughout the site. Rupert Jeffries of Collingwood Rigby, asset manager for the Estate, said: “We undertook these improvements throughout 2018 as part of our ongoing commitment to maintaining the high-specification facilities that the business park prides itself on, and we are delighted to have completed these before Christmas as scheduled. “Over a number of phases, we’ve invested in the site’s security systems, installing new and upgraded CCTV cameras and Network Video Recorders across the Estate, overseen a full refurbishment of our vacant units and fitted new roofs to 275,000 sq ft of our buildings. 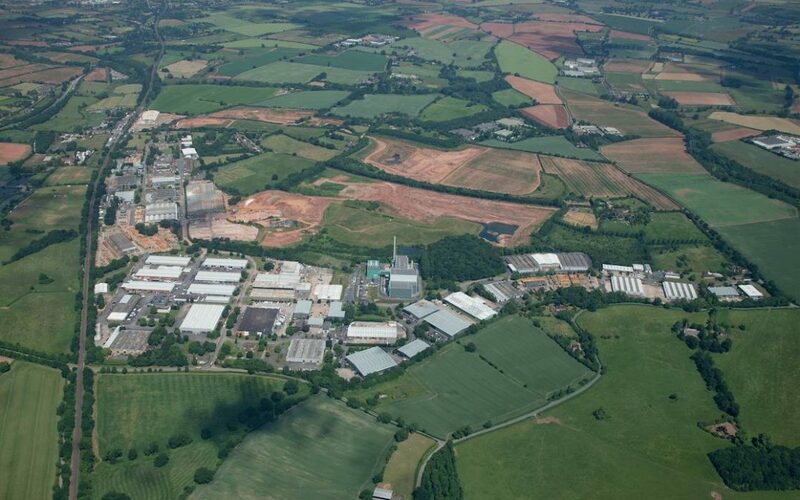 In-keeping with the ongoing shortage of high-quality industrial stock throughout Worcestershire, there has been a very strong demand for space at the Estate in recent years, with it currently experiencing record low void levels. Rupert said that the refurbishment programme had been rolled out to ensure the Estate continued to meet that demand. “Those vacant units that we do have at the estate have been overhauled so that they are in an excellent condition for new occupiers,” he said. The Estate, which is set in 230 acres of parkland, has further benefitted from seagull deterrent digital systems and additional landscaping to benefit all tenants. Occupiers at the Estate include FedEx, TNT, Vax, CP Foods Ltd, and Apex Supply Chain Technologies. Enquiries around the site should be directed to marketing agents Harris Lamb on 01905 22666/0121 455 9455 or Fisher German on 01905 728444/0121 561 7888.